As time goes by technology becomes slow and vulnerable to cyberattacks which require companies like Microsoft to develop new software and use better functioning hardware, this requires the old technology to be replaced so attention can be focused on new technology. 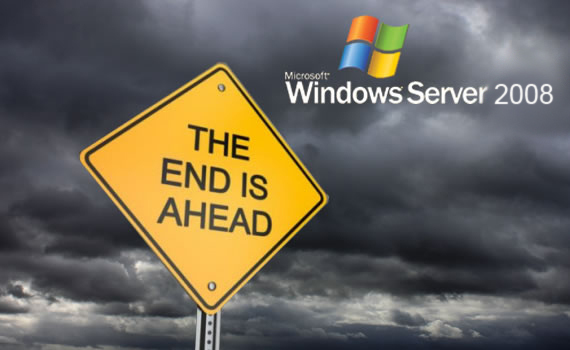 January 14, 2020 is the date to keep in mind if you are running Microsoft Windows 2008 server, because it will be the end of life for it, there will no longer be any support for the server going forward. What does this mean for anyone with a Microsoft Windows 2008 Server? For starter it may be a very good idea to plan ahead and start thinking about implementing a newer server as soon as possible. You don’t want to ignore the end of life of the 2008 server. It will no longer have support and there will no longer be any updates all this will leave your organization vulnerable to cyberattacks. Once support ends there will be no Hot Fix Agreement Option. Support for your 2008 server ended on July 9, 2013, while extended support was still available through January 15, 2015, once that ended you have had the Hot Fix Support available to you if anything happened to your server. Those Hot Fixes came at an expensive price to keep the 2008 server going with updates. That will come to an end and Hot Fixes will no longer be available. This will leave you with no security patches and if something should happen to your server. You are basically at this point on your own looking for solutions. The Windows 2008 server will face security threats that it may not be able to deal with, it is a major issue to look out for. There may be other pitfall that the Windows 2008 server will face. As servers progress and become more and more advanced with time new software is created to meet the needs of the newest servers that make their way into the market. With that said eventually the Windows 2008 server will become incompatible with the newest and greatest software that becomes available. There are many industries that require servers to meet compliance for instance HIPPA compliance and PCI. It is safe to say that if you need to maintain compliance then there is no choice but to move to the newer server. If there is no support and security patches that will leave the data vulnerable and the fines associated with not meeting compliance simply outweigh the cost of a new server. If you are in an industry where compliance has to be met than the Microsoft Windows 2008 server will be considered obsolete as of January 14, 2020. You might think that keeping the Microsoft 2008 server will help you save money rather than buying a new server, on the contrary if you are running a Windows 2008 server and something goes down you will be paying for many hours of services. Each time the server goes down with no patches or updates there is no telling how much you’ll end up paying in service cost to remediate the issues. Simply put you will end up paying more to keep the applications running on the windows 2008 server than to replace it. With no updates, quick fixes or security patches you are going to face another hurdle and that is performance and reliability. You can be sure that with time performance will always get better with a newer server. The old will become slower in performance, applications will run slower with the lack of updates, hot fixes and patches. Reliability issues will crop up causing longer than anticipated down time, which eventually will reflect on operating costs. Come January 14th 2020 are you willing to risk going forward with your Windows 2008 server? Customized Computer Services, Inc. (CCSI) is based in Arlington, TX and has been serving the Dallas-Fort Worth area for 30 years. 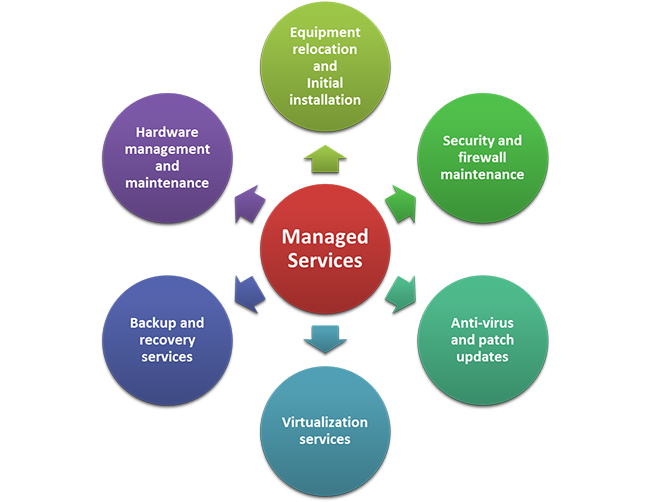 We have helped many of clients migrate to new servers. Contact us and find out how we can help make your transition from a Microsoft Windows 2008 server to a new server a smooth experience. 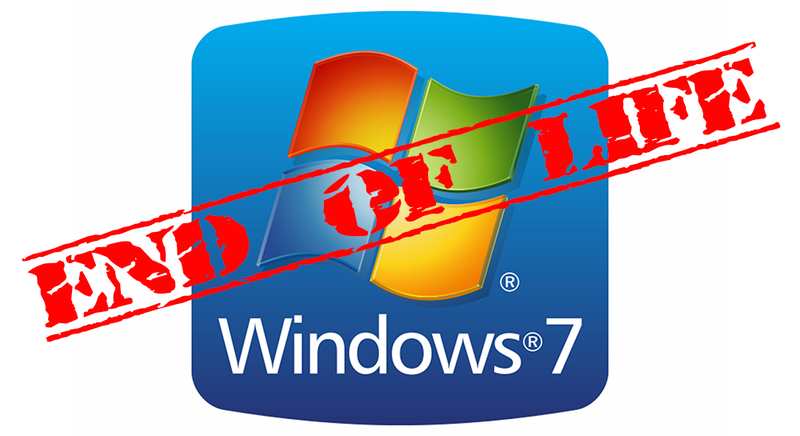 When Microsoft introduced Windows 7 to the general public on October 22, 2009, it made a commitment for product support of Windows 7 for 10 years. 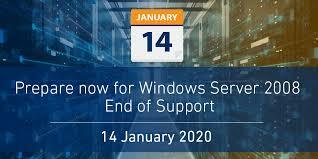 On January 14, 2020 the product support for Windows 7 will end, this will include both updates and technical support. What does this mean for you if are still using Windows 7 after January 14, 2020. For starter it may be a good idea to move to Windows 10 as soon as possible. 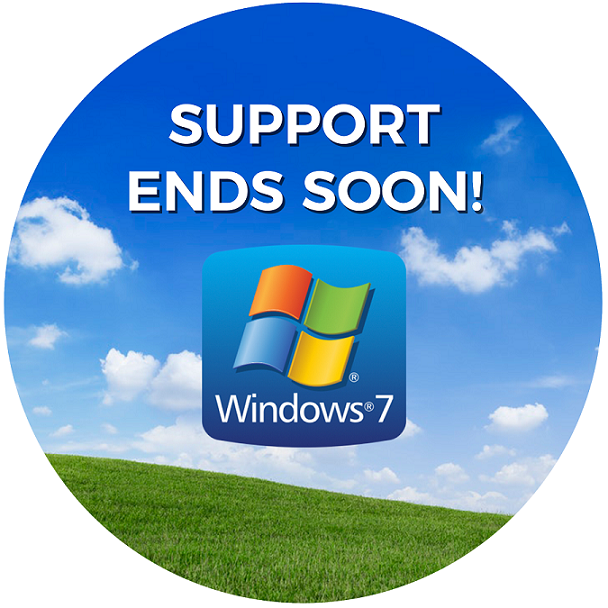 When product support ends there will no longer be updates for Windows 7. You can continue to use Windows 7, but you will be taking a risk with no updates your computer will be vulnerable to security risks and viruses, there will no longer be security updates from Microsoft. Processor: 1 giga hertz (GHz) or faster processor or SoC. RAM: 1 gigabyte (GB) for 32-bit or 2 GB or 64-bit. Hard disk space: 16 GB for 32-bit OS, 20 GB for 64-bit OS. For those that have a Windows 7 PC that isn’t compatible with Windows 10 software, it is highly recommended that they purchase a PC with Windows 10. PCs today are much faster and lighter than when Windows 7 first come on to the scene, and less expensive also then they were. It maybe time for an entire PC replacement. If you run a business that still uses Windows 7, then you have a dilemma. Upgrading all your PCs to Windows 10, and retraining staff, might prove tricky before Windows 7’s End of Life on January 14 2020. However, you don’t want to risk running an operating system that doesn’t get security patches. The good news is that Microsoft will be offering Windows 7 Extended Security Updates, which will continue to deliver updates and patches for Windows 7 business users after January 2020. However, the updates will come at a price on a per device basis, just how much it will cost for support for Windows Enterprise users using Windows 7: For the first year after the End of Life date (January 2020 – January 2021), the cost is $25 per device. This rises to $50 per device for year two (January 2021 – January 2022), For year three $100 per device (January 2022 to January 2023). It appears that at the moment Microsoft is hoping by 2023, Windows 7 use will be small enough to stop offering the extended security updates. No matter which route you take it is advised that you safely back up your documents. Whether you are upgrading from Windows 7 to Windows 10 or moving to a Linux or a Mac make sure you have your documents backed up to transfer to your new operating system. Customized Computer Services, Inc. (CCSI) has been serving the Dallas-Fort Worth Area for 29 years. We have helped our business clients to migrate to Windows 10 seamlessly, as we move towards the end of life for Windows 7. Contact us to help your business upgrade to Windows 10. Longevity: You want an MSP that has been around for a while and can provide references from its clients. Good references: Get references from clients of the MSP. 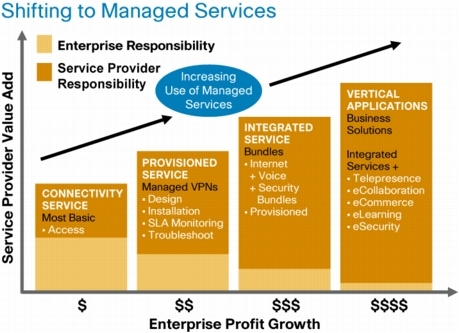 This way you will have a better idea of just what the MSP company can handle in terms of IT capability. You will get a sense of how satisfied a client of the MSP company is. From the reference you will find out how reputable the MSP is that you might use for IT services. Industrial Experience: Does the MSP have industrial specific knowledge. If the business you are in is a Medical practice does the MSP know the compliance that is required and do they know how to deal with trouble shooting issues that arise from software that is used. If you run a restaurant you may want an MSP that has experience dealing with restaurants. Making sure that the company deals with clientele that is similar to your business. Designing an IT system: Does the MSP design an IT system that Supports the company’s growth, there are many service providers out there that are more interested in their bottom line as opposed to creating a symbiotic relationship. The IT system that is designed should consider where the company the MSP is providing services to today, where it will be tomorrow and beyond. Remote Management and Monitoring (RMM) and Onsite Support: One of the must haves in choosing an MSP company is do they have 24 hours 7 days a week and 365 days a year Remote Management and Monitoring (RMM). The MSP should be able to manage and monitor your entire IT infrastructure remotely. The MSP also should provide onsite support as well. When it is time to switch out parts or to handle onsite issues that can’t be done remotely. A good MSP doesn’t leave your side when you need them the most; they should make the necessary house calls to make sure everything is running smoothly. Consultation Service: The MSP company should offer consultation service to its clients making suggestions as well listen to suggestions that will improve efficiency for the company as well as for the MSP. Making IT purchase can be costly a good MSP should be able to guide you on the proper route and help to minimize unnecessary expenses and provide customized solutions to meet your needs. Service Contract: Does the MSP list all the services that they will provide on the contract and details of contract work as well as noncontract terms. The last thing a company wants is to be stuck in a contract with an MSP that cannot meet the needs of their client. Make sure that the terms are agreeable and there is flexibility which will allow you to add or remove services. Response Time: Having an MSP that has a good response time is important for both parties. An MSP should be able to provide a time frame of when they will be able to address any issues that may arise. Are They insured: It is important to verify if the MSP is insured and has a current policy in place to protect your company from any mistakes on the MSP’s part. 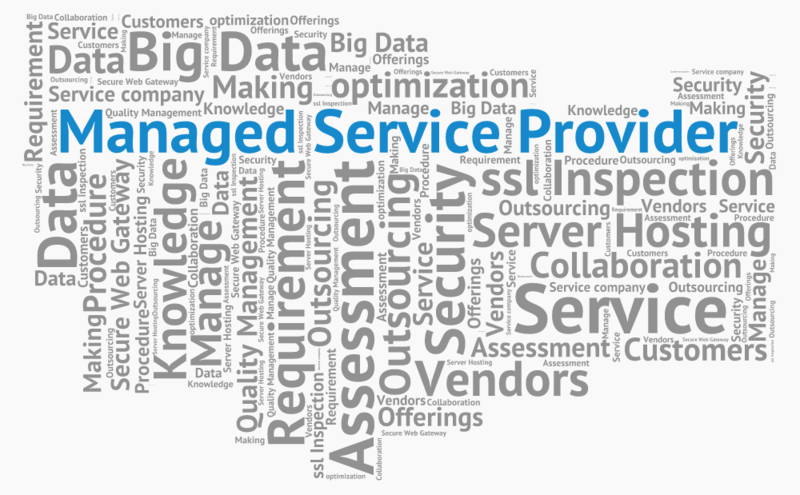 These are just some of the items to look for when choosing a Managed Service Provider. Hiring an MSP for your IT can be a difficult task. Choosing an MSP that is right can help a business become efficient and profitable, by allowing the company to concentrate on the things that matters the most growing the business. Customized Computer Services Inc., (CCSI) has been serving the DFW area for 29 years. Our staff has over 20+ years of experience. We provide services to all facets of industries from Architecture firms, Aviation, Government facilities, Medical practices, Manufacturing industries and Restaurants. 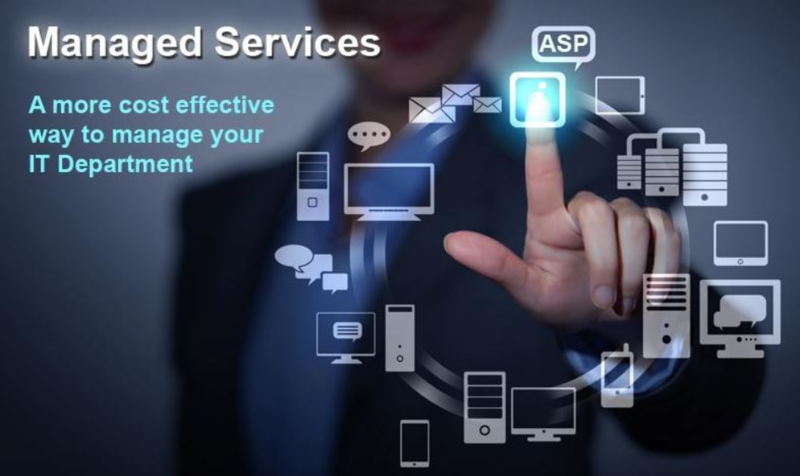 Contact us to set up an initial consultation and find out what CCSI can do for your company’s IT. 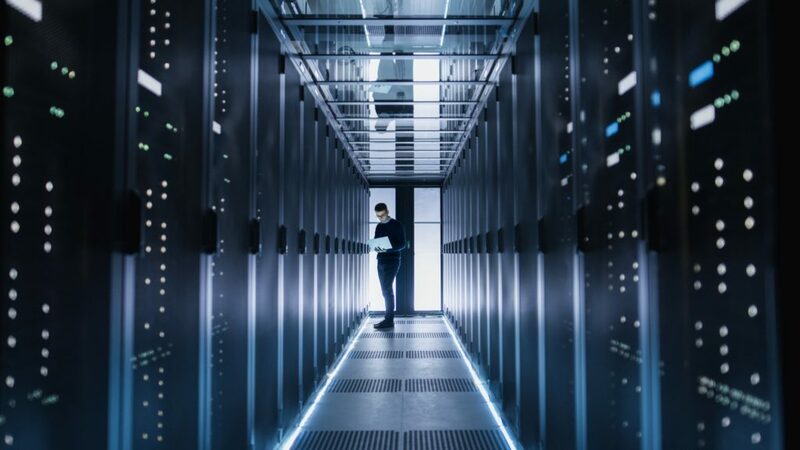 When a company’s business critical information gets larger, the questions that arises is how to manage the vastly growing amounts of data, for many, colocation has emerged as a possible solution. Colocation is no longer just available to large businesses it is available to medium and small businesses as well. What are the benefits of outsourcing your data to a colocation? Affordability: Colocation can save your company money, they help in reducing capital investment costs, as the company data base grows the colocation has enough space to accommodate the growth. Outsourced colocation makes financial sense in almost all cases. 24/7/365 Monitoring and Support: Having a skilled technician watching over your Data 24/7/365 lets you sleep well at night knowing everything is running smoothly. Security & Compliance: With cyber threats becoming a major player in today’s world it is imperative that secure access and 24/7/365 monitoring are in place. Colocations must meet the standards imposed for security as well as be compliant with standards imposed by HIPPA, PCI and SSAE standards. 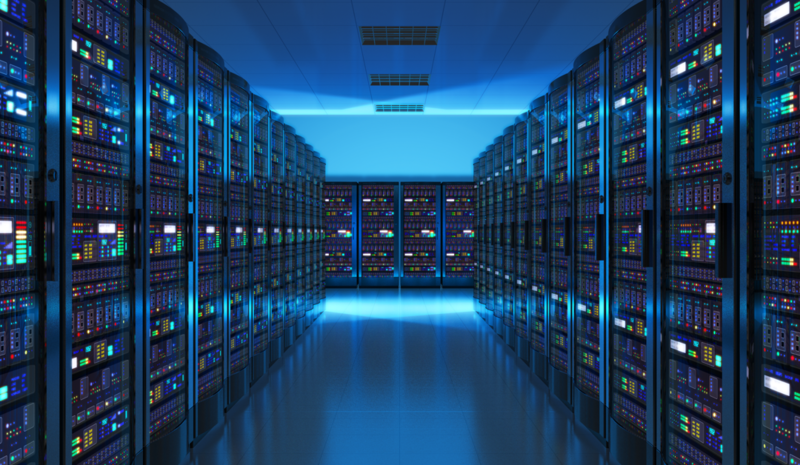 Expertise: Data center operators provide limited services, which allows them to hone their skill sets to what matters the most making sure your data is accessible at all time, the colo is cooled properly, the data is protected. Disaster Recovery Preparedness: Having your data at a colocation gives the business peace of mind, knowing that their data will be available to them and should there be a natural calamity, the colocations will provide redundancy in recovering data. Making Data Recovery one of the primary reason to consider a colocation. Room for growth: Colocation allows you to expand your infrastructure to fit the needs of your company’s growth without having to take on capital expenditures. If you’re company grows, your IT infrastructure can expand to support it quickly and with less investment. 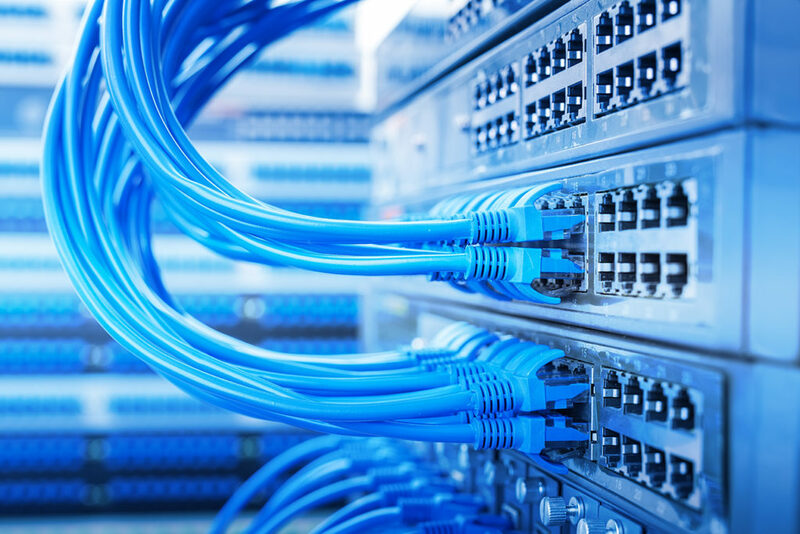 Better connectivity: Colocation data centers have fully redundant network connections ensuring that customers’ business critical applications always run uninterrupted. 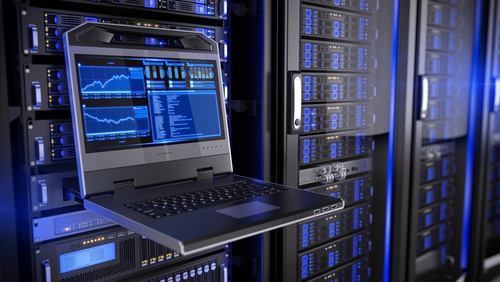 Colocation provider for management of critical information and assets, allow businesses to have complete control of their hardware and software, but it will be housed in a facility that will optimize its performance through careful monitoring, risk mitigation, heightened security, and stability. More and more companies from large scale to small scale are turning to colocation, small business enjoy the feature of a large IT department without the capital investment. Medium to large business have the ability to expand their infrastructure without costly expenses such as construction or facility leasing. Customized Computer Service Inc (CCSI) we have been serving the Dallas- Fort Worth area for over 28 years. Contact us and ask us about our colocation services. As business grows it is vital for data to be readily available to the employees and saved in a central location. 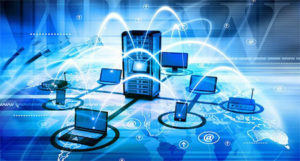 Having a computer network helps information travel through a centralized location to those who have access to the data where ever they maybe. A computer network that is well set up is akin to a business running like a well-oiled machine. There are many benefits of having a computer network all which help a business to be more efficient. What are the benefits of having a computer network? • Communication and collaboration: It’s very difficult for people to work together if no one shares what anyone else is doing. A computer network helps create a team environment which help to get everyone on the same page. A network allows employees to share files, view other people’s work, and exchange ideas more efficiently. In any office you can use e-mail and instant messaging tools to communicate quickly and to store messages for future reference. • Data protection and Management: A network makes it easier to back up all of your company’s data on an offsite server, a set of tapes, CDs, or other backup systems. Having a central point of data backup allows data to be readily available in case of a disaster. Making disaster recovery easier, than having individuals backing up their data where it can be lost, misplaced or stolen. • File sharing: A network makes it very easy for everyone to access the same file and prevents people from accidentally creating different versions of the files. • Organization: Having a centralized scheduling system allows for businesses to prepare and employees to stay aware of assignments. From scheduling assignments to scheduling availability a centralized IT Network is an invaluable tool in today’s business world. A variety of scheduling software is available that makes it possible to arrange meetings without constantly checking everyone’s schedules. • Hardware sharing: With a network, several computers can share the same printer. Although you might need a more expensive printer to handle the added workload, it’s still cheaper to use a network printer than to connect a separate printer to every computer in your office. • Remote access: Having your own network allows greater mobility while maintaining the same level of productivity. With remote access in place, users are able to access the same files, data, and messages even when they’re not in the office. This access can even be given to mobile handheld devices. Increased security by using VPNs ensuring that your data is safe and accessible only to those given credentials to. Network switch and ethernet cables, Data Center Concept. There are many more reasons to have a Computer Network for your business. Once you have a computer network you will find more uses for it and wonder why you didn’t implement one sooner. Customized Computer Services Inc. (CCSI) has been serving the Dallas-Fort Worth area for over 28 years. We have provided our expertise to businesses small and large implement new networks or expanding on their existing network. Whether you are implementing a new computer network or expanding an existing network Customized Computer Services Inc (CCSI) can help. Contact us at (817) 459-4000.